ArtSpeak connects you to artists. We share their stories. Looking for your new favorite podcast? We got you covered. 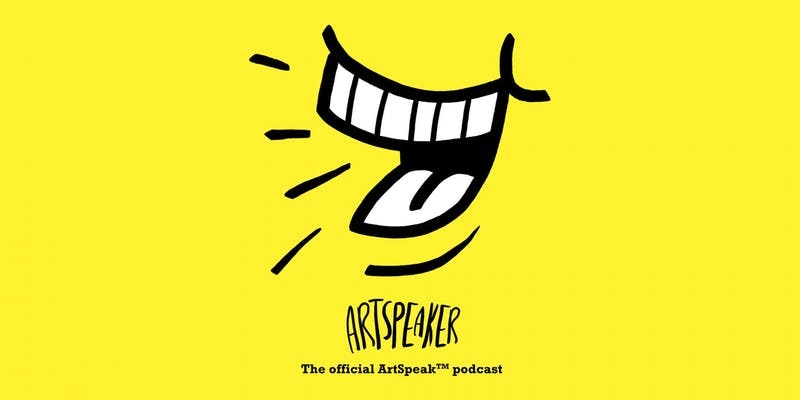 ArtSpeaker is our weekly, conversation-style podcast where we talk about artists’ views on success, critique, and their role in society today. Subscribe and download our episodes on every major podcast site. Don’t worry, this isn’t one of those terrible spam emails. We’ll send one email a month with updates about our next event, interesting news, and other things we find cool. Don’t believe us? Check out the latest ArtSpeak Newsletter here.